At Ritz Photo Booth Co., we believe in making every event one to remember. Take your photo booth experience to the next level with a custom logo. 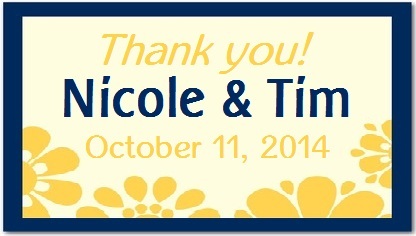 Featured on the bottom of every photo strip, the logo will commemorate your special day with a custom message. Maybe you've already got something in mind -- a special saying or company tagline. Send it in, and we'll fit it comfortably on the bottom of each photostrip. Or maybe you're not sure where to start. With the custom logo package, we'll create up to 3 logo options -- based on your preferences regarding messaging, style, font and colors -- and you can choose the one you like best. Add a custom logo onto a standard or green screen photo booth package for only $50. A customized cover is included with every flipbook photo booth rental for no additional charge.